- edited on ‎01-30-2017 10:42 AM by Kristen_K. 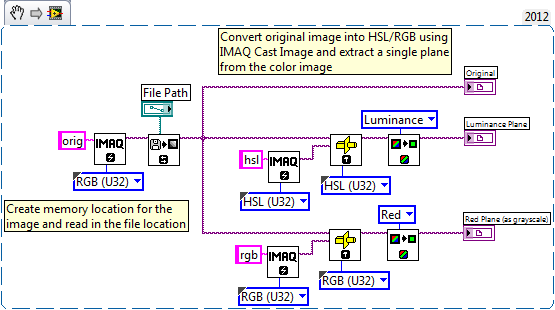 This VI demonstrates how to convert an image from color (RGB) to a grayscale image. 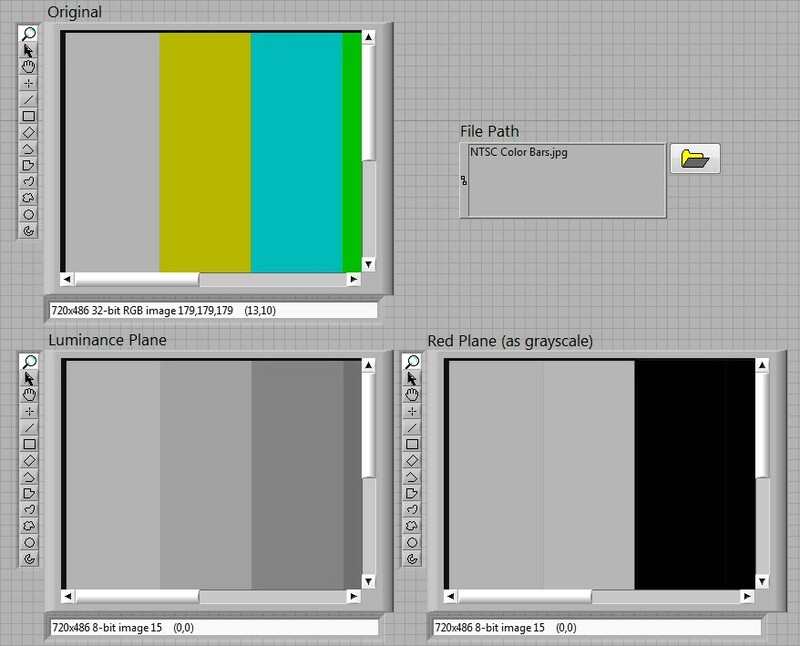 This simple program converts a color image to grayscale by two methods: 1) Converting the RGB image to a HSL image and extracting the luminance plane 2) Extracting the red color plane from the RGB image. The attached image can be saved and used to demonstrate the functionality of this VI. The file path of the saved image should be in the File Path control on the front panel. I would like do the oposite.. grayscale to color image. How can i do this?